BACKLESS is a non-essential Eric Clapton album. It’s fine if you happen to own a copy but don’t feel obligated to run out and make a purchase if it is not part of your collection. In many ways, BACKLESS is a continuation of SLOWHAND. It features more or less (particularly less) the same musicians that Clapton had been recording and performing with since 1974 although the sound of the group is certainly enervated by this stage. The material is similar to that found on SLOWHAND as well. A composition appropriated from the Don Williams camp, another J.J. Cale cover, an obligatory blues number, a pair of Bob Dylan songs which he co-wrote with Helena Springs (sic) one of his back-up singers/paramours; and four originals including one co-written with Marcy Levy. There is nothing especially revelatory about this album but there are definite highlights. “Watch Out For Lucy” - A Clapton original written in a style that he has not employed before or since. This song is written in the form of a story or parable and features some clever lyrical couplets. Clapton provides wry vocals and rollicking country-rock guitar licks to this underappreciated number. “I’ll Make Love To You Anytime” – Another J.J. Cale number where Clapton nails Cale’s vocal mannerisms. Clapton has always been a bit of a natural mimic as witnessed by the vocals displayed on his debut solo album where he sounded uncannily like Delaney Bramlett or his Leon Russell mannerism on “Pretending” from the JOURNEYMAN album. On “I’ll Make Love To You Anytime” Clapton not only captures Cale’s vocal qualities but also contributes a slow wah-wah solo that perfectly approximates Cale’s guitar style. Interestingly enough, Clapton’s version is even more laid-back that Cale’s original! “Tell Me That You Love Me” – Another Clapton original that is catchy, well-crafted song. It features a memorable chorus and nice lead guitar. This song sounds like a stylistic precursor to the material that he later crafts for MONEY AND CIGARETTES. “Early In The Morning” – Clapton his band of musicians working out on a slow blues number. As an added bonus check out Marcy Levy’s harmonica which provides another dimension to the music. Radle, Oldaker, and the others could play this type of material in their sleep. “Golden Ring” – Another well-written Clapton original featuring strong vocals back-up by Bennie Gallagher and Graham Lyle. Second guitarist George Terry and vocalist Marcy Levy left the band in 1978 and Clapton and the “Tulsa Tops” continued as quartet. They played a number of European dates including festival shows headlined by Bob Dylan. In fact, the name BACKLESS is a humorous reference to Dylan’s uncanny ability to know what is happening on-stage at any given time. BACKLESS lacked the quality songs that made SLOWHAND so successful (“Cocaine”, “Lay Down Sally”, “The Core) and a new musical direction was badly needed. Clapton recognized this as well and experimented with a quartet for the first time since Derek and the Dominos before adding guitarist Albert Lee to the mix. He finally fired Radle, Oldaker, and Sims in 1979 and recruited keyboardist Chris Stainton, drummer Henry Spinetti, and bassist Dave Markee. This album is VERY underrated. Sure, EC is laid back on the album, but that allows for the album to have some very beautiful songs, very much absent in his early years before the Dominoes. The best songs on the album would have to be Promises, Tulsa Time, and Early in the Morning, but Roll It and Watch Out for Lucy are fast-paced and worth a listen no doubt. If I Don't Be There by Morning actually is a disappointment to me on this album, it definitely doesn't hold up to EC's live performance of it on Just One Night, in fact the album version is no where near as good to listen to as the live version, as is sometimes evident only later in the 80's with some of EC's releases of albums that didn't sell well but live albums that were regarded his best ever (24 Nights). In all I think this album is definitely worth buying, especially if you can find it in a used bookstore for about $8 like I did. "Backless" is formulaic in approach as it obviously seeks to replicate the success of "Slowhand" with the same band, the same producer, same studio and same source material. Overall the album is more consistent but ultimately not as good as "Slowhand". E.C. and his band should have been playing very well as they were coming off a lengthy American tour when they entered Olympic Sound Studios in May 1978. However, the band sounded listless and pedestrian at times and there were few moments of sustained inspiration. Material for the album proved to be problematic as well. There were no strong anchoring songs such as "Cocaine", "Lay Down Sally", Wonderful Tonight" or The Core" as there had been on "Slowhand". Bob Dylan contributed two selections co written by Helena Springs but only "If I Don't Be There By Morning" generated any excitement as EC and group managed to sound uncannily like the Band. The other Dylan-Springs selection, "Walk Out In The Rain", sounded bland and uninspiring. "Tulsa Time" written by Danny Flowers (Don William's guitarist) and "Promises" written by Richard Feldman and Roger Linn were solid country rock numbers. "Roll It" was a Clapton-Marcy Levy collaboration based upon one of the abandoned arrangements for a perennial Clapton favourite, "Before You Accuse Me", which did not surface on an album until 11 years later with "Journeyman". While Clapton's guitar work stings on this cut, Levy's vocals are an acquired taste and one is left to wonder why space was allotted to this particular track. There were highlights however. "Watch Out For Lucy", written by Clapton was an obvious attempt to capitalize on the success of "Lay Down Sally" but it is redeemed not only by EC's rollicking country rock guitar playing but also for the fact that this is perhaps the only Clapton composition written in a story telling fashion. Clapton's other contributions were "Tell Me That You Love Me" which was a well-crafted pop song that would not sound out of place on 1983's "Money and Cigarettes" album and "Golden Ring" which stands as a heartfelt message to Patti Boyd broaching the topic of matrimony and acknowledging the romantic complications/ramifications stemming from the Clapton/Boyd/Harrison situation. "I'll Make Love To You Anytime", culled from the J.J. Cale songbook, features low register vocals reminiscent of "County Jail Blues" from the 1976 "No Reason To Cry" album and a sizzling wah-wah solo which perfectly captures Cale's guitar style. The true highlight of the album is the lengthy blues number called "Early In The Morning" Interestingly enough Clapton would end up recording three tracks, "To Make Somebody Happy", "Cryin'" and "Water On The Ground" in late December 1978 with Glyn Johns which sounded perfectly in sync with the material included on "Backless" and would have strongly complimented a song such as "Golden Ring". Is this an essential album? No, while I would recommend it to the avid fan interesting in compiling a complete collection of EC's work, it is not the best purchase for the casual listener. Eric Clapton again is somewhat laid back and it shows. I think at this time the band was in a small rut and Clapton does not take charge. When I listen to this CD I pretty much skip the first five songs and go straight to #6. "If I don't be there by morning" is a rocker written by Bob Dylan. Its well written and worth a listen. Next is "Early in the Mornin" which is one of the classic blues songs of his career. It shows Clapton playing blues the way we love to hear it. Next he slows down for his classic "Promises" and shows his acoustic side. Again a side we don't hear enough. Next is my personal favourite "Golden Ring" he again uses his acoustic guitar and turns in a good performance. He then close with the Don Williams classic "Tulsa Time" This is a very strong slide guitar performance and very much worth listening to. As I say skip the first 5, sit back and enjoy. Although this is by no means one of the 'great' Eric Clapton records, I do feel that Backless is an unfairly underrated effort. The frequent charge leveled by critics against Eric's late 70's studio work is that its too laid-back, and in some instances here that charge holds true (the versions of 'Early in the Morning' and 'Tulsa Time,' for example, pale next to their 'live' counterparts on 1980's Just One Night). In other instances, however, Eric's 'laid-back' approach results in some beautifully understated performances - in particular his heart-felt vocal and guitar work on 'Walk Out in the Rain,' and the smoldering slide-wah wah playing on 'I'll Make Love to You Anytime.' Similarly, while 'Promises' may be lightweight AM-radio fare, it is nonetheless a gorgeous country-pop performance by Eric and Marcy Levy. Eric also contributes a couple of reasonable original songs (most notably the catchy 'Watch Out for Lucy'), but his real interest at this time obviously lay in forging a new musical identity by interpreting other peoples' songs. Well, Eric Clapton shows us in this album a side we've never seen but in 461 Ocean Boulevard: His poetic and Country side. He gives us some good songs with the cool rhythm of Lay Down Sally or Crossroads (but without that aggressive bass). It is a good opportunity to check the continuum development of this God (although he will never admit he is one: Blues' God). It's also a good chance to listen him singing along a woman, just like the Video Eric Clapton and Friends (remember Sherryl Crow), and with another kind of philosophy (I'm totally sure that Dylan gave that new point of view about life with "If I don't be there by the morning"). Slowhand volume II. Same band, same producer. Most people prefer "Slowhand", but I think that I like this album better. It has less well-known songs and no real hit-single but that's no reason to overlook it. "Slowhand" had some forgettable and light-weighted songs and so does "Backless". The difference is that the less good songs here are still better than the main part of "Slowhand". Helena Springs has co-written two songs with Bob Dylan and the result is more than decent. Perhaps Walk Out In The Rain ain't so special, it doesn't rip you out of the chair as, for example, Cocaine did, but it's still very enjoyable. The other song is If I Don't Be There By Morning and is one of my favorite songs performed by Eric. It has a great groove, there's a fantastic rhythm to it, very South-American sixties soul (Mustang Sally, Midnight Hour), and I can't help doing any other than loving it! "Slowhand" had the J.J Cale song Cocaine and this album too has a Cale song, I'll Make Love To You Anytime. It's very slow and has a sensual feeling. Roll It is similar to Slowhand's The Core and is written by Clapton/Marcy Levy. It features some great slide-guitar playing from Eric. I like that one too! Tell Me That You Love Me is a sweet ballad and I really like the simple melody together with the tasteful guitar playing along. Of course there's always a blues found on Eric Clapton's albums. This time it is Early In The Morning. Very slow, and great slide-guitar. Very tasteful harmonica performed by Marcy Levy. The closest thing to a hit-single on "Backless" must be the country song Promises, which I believe made it to top 40 on the US-charts, about a relationship moving towards it's end. The worst track presented here must be the Eric Clapton penned Golden Ring. I really don't know why, I just don't like it. It has some nice changes between major and minor chords and I usually love that stuff, this time not. Tulsa Time close the album that for some reason has been overlooked by critics and fans, don't know why, it's at least as good as "Slowhand", released one year earlier. By the way, I've heard something about that it's called backless because Clapton was so impressed by Dylan. He said that Dylan hears everything that's being played on stage, every move, he knows about it. Just like he has eyes in his neck! "Backless" lacks the hits "Slowhand" had, but instead it's a very even album. That's the reason for me giving the same rating to both albums. This album was my first contact with an artist I would later come to know as Slowhand, E.C., and the nearest any mere mortal would come to being a God.I first acquired this album as a gift and it was promptly put to good use as a dust collector. Several years and an epiphany later I discovered that this Eric Clapton and his music were able to express many of my own feelings and emotions more succinctly than even myself. This is the album in which I discovered the power and depth of Eric Clapton’s music. This album shows a masterful blend of the blues and country music, being given its own unique characters that ultimately gives birth to a new genre. You would expect to find this music coming from someone with strong roots in the deep American south, at a time where the lines of social genre in music were being blurred into a new sound that caught on quickly and became known as Rock & Roll. Instead this album came from a young man, decades later, in England who drew inspiration from the icons of the blues and what came to be known as Rock & Roll. His music today is making him to become an icon of not just Rock & Roll, but of the Blues as well. 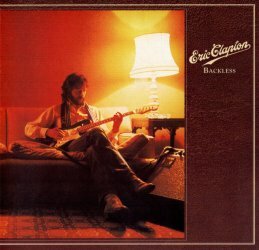 If you are an Eric Clapton fan and don’t already have this album…you are missing out on a big part of what he is.